"Simple, tasty side dish which is quick and easy to prepare." 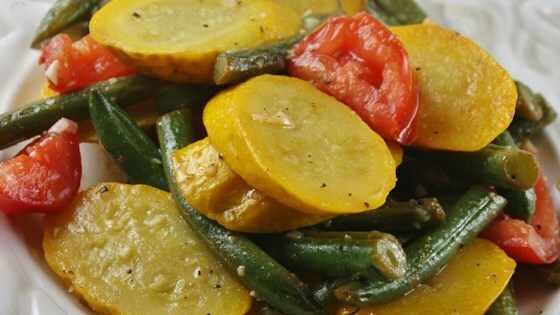 Cook and stir squash and green beans in a nonstick skillet over medium heat until slightly softened, 2 to 3 minutes. Stir tomatoes, lemon juice, parsley, coriander, salt, and black pepper into squash mixture; cook and stir until tomatoes have softened, 5 to 10 minutes. Nice and bright veggie dish that complimented Thanksgiving dinner. Well received.